Sigmund Aura is the next generation of electronic medical records. Designed to work the way providers in behavioral health and addiction treatment do, Aura is built to be fast, inclusive, intuitive, and flexible. I like using Sigmund rather than Aura to document, it’s a little more user friendly. I like the tabs which make it so much easier to navigate and find what I need. I dislike how I can’t delete something I put in. Sometimes I don’t realize I’m on the wrong patient until I’ve already added something & I can’t go back and delete the addition.also for Sigmund you have to download it every time. Although it doesn’t take but a minute. It is a pretty easy program to explain and use. Typically, it doesnt take a new hire long to get accustomed to it. "Good application till date for medical usage"
The ease of use to pull the medical results is what everyone is looking for and this exactly does what it says. What Mental Health solution do you use? I like the ability to customize the colors. It freezes constantly, things disappear out the system. We work in medical that’s not okay! We are able to accurately keep up with medications. "Best medical results generating app"
"Not easy to navigate, often experience issues"
Not very user friendly/intuitive. Outdated appearance and overall performance. 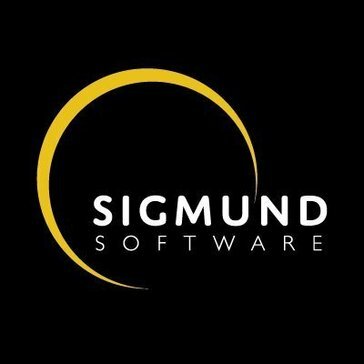 "Sigmund is slow and outdated it cannot function correctly with a large business using it"
* We monitor all Sigmund AURA reviews to prevent fraudulent reviews and keep review quality high. We do not post reviews by company employees or direct competitors. Validated reviews require the user to submit a screenshot of the product containing their user ID, in order to verify a user is an actual user of the product. Hi there! Are you looking to implement a solution like Sigmund AURA?